Hopefully, you are reading this before you have been in a wreck and need a auto accident injury lawyer. When you are involved in a car accident, your actions cannot always as calculated as you want them to be. You may be in shock and when in shock your body and mind do not follow normal protocol. If the car accident is of a more serious nature and you have suffered severe injuries, then you should seek immediate medical care including taking an ambulance to the emergency room if necessary. Stay at the scene. If there is property damage or someone is injured it can be a crime to leave the scene of the accident. Call the police and request that an accident report is prepared by the officer. Be careful to not admit liability. Immediately after the accident the facts and liability may not be clear so don’t admit to fault. Exchange license registration and insurance information with the driver of the other vehicle. You should always have your registration and proof of insurance with you in the vehicle. Make a note of the expiration date and if the insurance is active for the other driver. Take photographs of both vehicles and the scene in general. If there are any witnesses, get their contact information. Notify your insurance company. 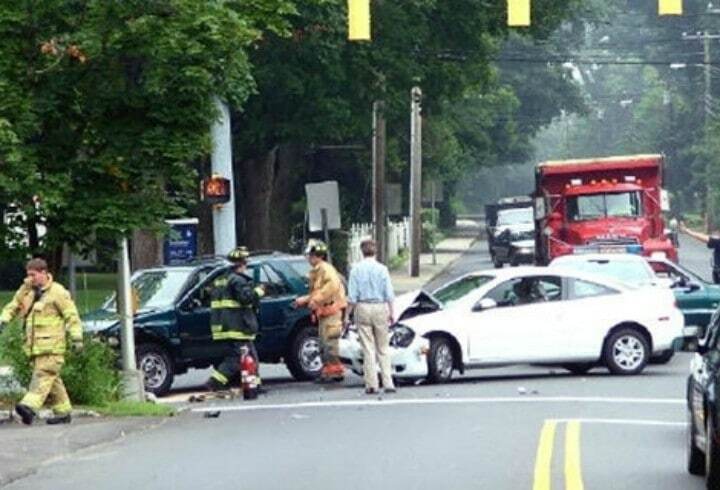 Most insurance policies state that after an accident you have a duty to notify your insurance company of the accident. Document your injuries and damages. Keep a file of your medical treatment, billing statements and vehicle damage estimates and repair records. Keep all photographs you have taken of the vehicles and the scene of the accident. Do not talk to the other drivers’ insurance company or settle for any payment until you have talked to an experienced car accident lawyer. Call Dale Dahlin, an experienced auto accident injury lawyer. Do you have children who are of driving age? Talk to them about what to do in the event of a car accident. Share this checklist with them. Young adults are less inclined to know intuitively what to do than their older counterparts. This list will be important for me as your car accident lawyer to provide information and to obtain evidence that is helpful in recovering compensation for injuries and damages for you. No matter what the type of car accident, getting this information will benefit your case, whether it is a simple fender bender or a roll-over accident. It is best for your rights if you talk to us as your lawyer before you speak to the insurance adjuster for the other driver’s insurance company. You may be shaken up, upset, scared and not remembering the incident correctly. The information you think you remember and give to an insurance adjuster could prove to be detrimental to your case. Insurance adjusters often record any conversations or calls that you have with them. As your lawyer, we will advise you concerning your case so you get the maximum compensation for your car accident and any injuries you may have sustained. When you choose Dale to represent you, he can speak to the insurance adjuster and what is said cannot be used as an admission against you whereas whatever you say to the insurance adjuster can be used against you. As your lawyer, we will advise you as to whether to give a statement and if so we can be present to protect and guard against unfair or irrelevant questions. Don’t leave your injuries in the hands of the other driver’s insurance adjuster or company. The other driver’s insurance company is in business to make money and wants to settle your case for as little as they can. If you were involved in a car accident, you might suffer physical and emotional scars, and you’ll need a lawyer to vigorously represent you. Dale Dahlin is a lawyer who has the skill and experience to make sure that you receive full compensation for the injuries and financial damages you have suffered from the car accident. As your auto accident injury lawyer representing you in a car accident case, we will make sure that we gather all the facts, investigate all the evidence and talk to any witnesses at the scene. With this information in hand, we will make sure that you have a legal basis for any claims you are making from your car accident, so you receive the compensation to which you are entitled. When you’ve been in a serious car accident, you may experience serious setbacks in your life including physical injury, property damage, emotional distress, and disruption of employment. After an auto accident like this, you need to focus on putting your life back together. We will handle your car accident case so you can concentrate on putting your life back together. With thirty-five years of experience in personal injury law, Dale Dahlin will handle the legal aspects of your accident, freeing you to focus on getting better. Dale has helped many clients obtain favorable settlements and verdicts. Dale handles each case personally, giving you the attention you and your case deserve. Dale takes the time to understand your needs, questions, and concerns. With Dale Dahlin, you’re not just another case among many. Read our reviews from clients. As a car accident victim, you have the right to legal representation. Call Dale Dahlin as soon as possible after a car accident. Get the protection and the justice you deserve. Call 402-423-4300 for a free case review.